The Denbigh Choir Spring Newsletter describes an unusually busy start to 2019. 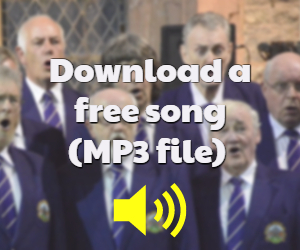 Apart from the Annual Dinner, January and February are usually quiet periods for the choir. This new year has been a surprise change from the norm. The Brookhouse Mill was again the venue for the Annual Dinner. This splendid evening is organised impeccably every year by choir member Dafydd Lloyd Jones and wife Wendy, to whom we are are very thankful. Mark Young, choir vice president, then described an “amazing night at the Choirs Annual Dinner. The icing on the cake was Lucy and Paul, peforming as Country Duo, ‘Keenan Jones’ who performed brilliantly as always! All choir members also extend condolences to Mark and family on the recent loss of his father. 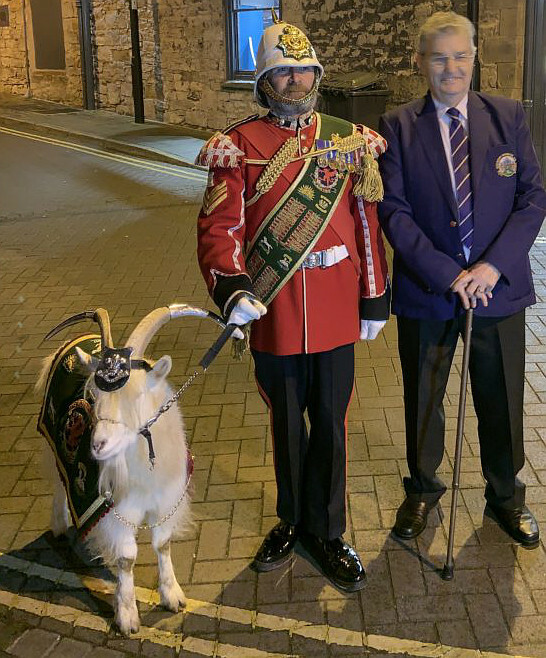 The Band of the Royal Welsh and Denbigh and District Male Voice Choir held a highly successful concert at Denbigh Town Hall on Sunday, January 20. 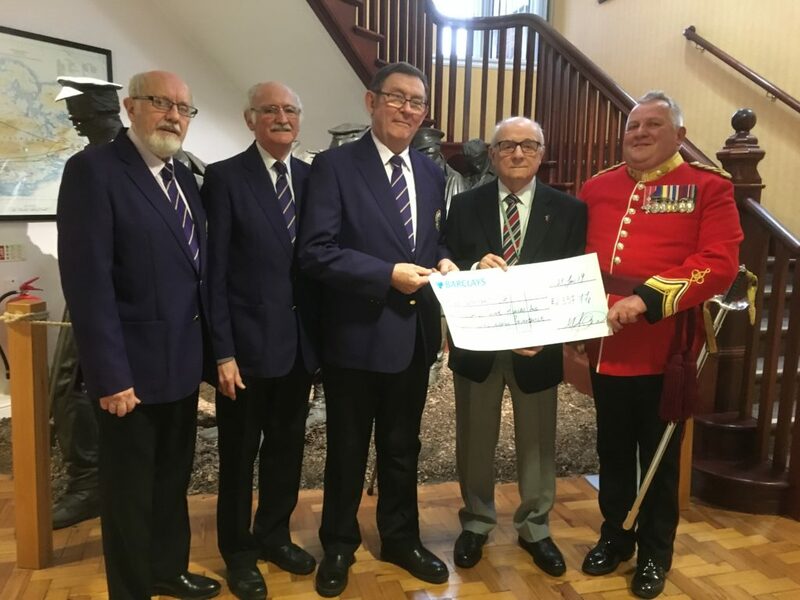 Furthermore, the concert, in aid of Blind Veterans Charity, commemorated the Battle of Rorke’s Drift, in which antecedents of the band fought 140 years ago. 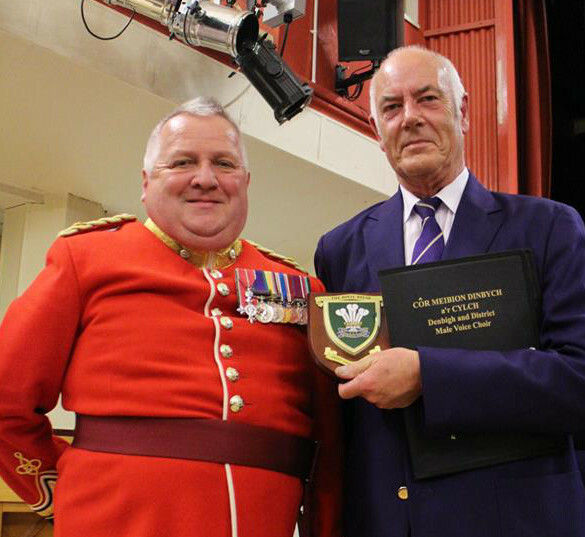 Major Denis Burton MBE presents Paul Harrison, Chairman of Denbigh and District Male Voice Choir, with a Regimental Plaque to commemorate the combined concert in aid of Blind Veterans UK. Congratulations also to Andrew Faulkner (First Bass) who made his long awaited concert debut with the choir. “I enjoyed it immensely,” was his proud reaction. After an absence of seven years, David Hards has rejoined the choir. First tenor, David, reluctantly had to give up choir duties because of work commitments. This experienced chorister will bolster the first tenor section. 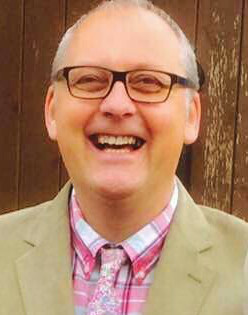 Second tenor Ken Armstrong has also returned to choir duties. After a year long absence, due to a severe leg fracture sustained on his farm, Ken was warmly welcomed back by the choir membership. Welcome back to you both! 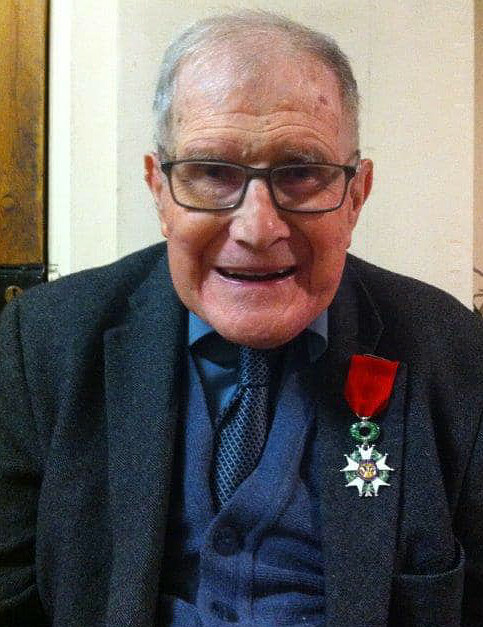 Dr Wilkins, an eminent GP in Denbigh, and one of the choir’s ardent supporters, died in January, at the age of 100. We also remember the Sankey Moody evenings at St Thomas’s Church under his enthusiastic and dignified leadership.